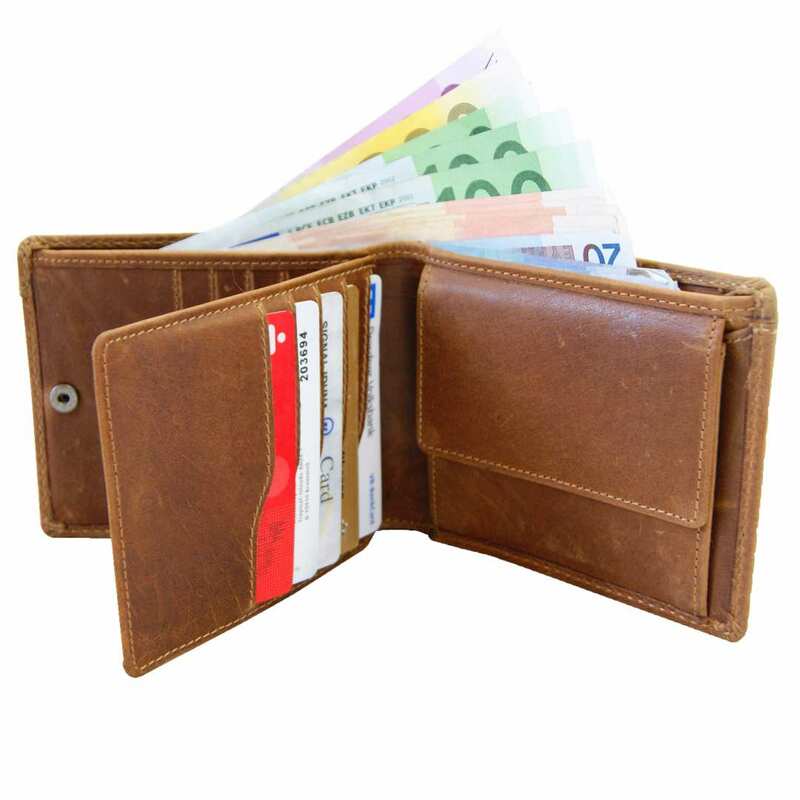 Product information "Men's wallet GETTY of brown leather"
The men’s wallet GETTY made of grassland leather is a noble money purse suitable for the pants of every gentleman. The men’s money purse is an excellent accessory for fashionable men. 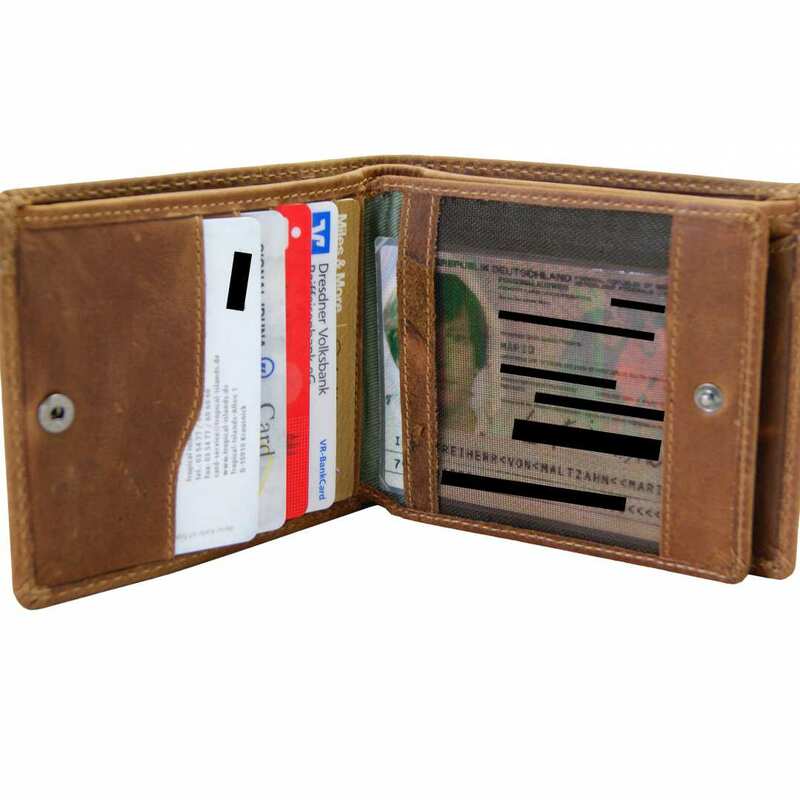 The wallet is made of genuine bovine leather and is produced only in small series. Many holders and pockets for cards and bills are available, as well as another compartment that can be closed by a button. You can find an extra outer secret pocket where you can store important documents, your ID card and similar objects. This wallet is also perfect to give someone as a gift. The high grade processed money purse consists completely of naturally treated bovine leather. The cowhides are vegetable tanned and waxed following a traditional procedure. This way, the natural characteristics of this material’s surface are developed to the maximum and provide the fantastic look of the accessory. 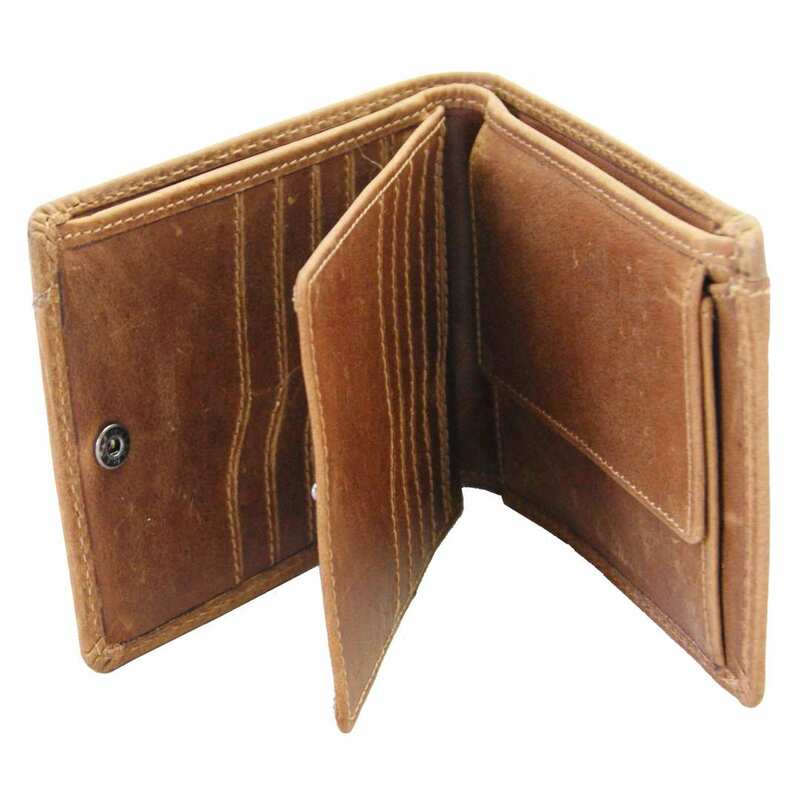 All cowhides used to produce the men’s wallet are a by-product of the food chain, in consequence, by acquiring this leather accessory, you are contributing to the manufacturing of nature-conscious articles. 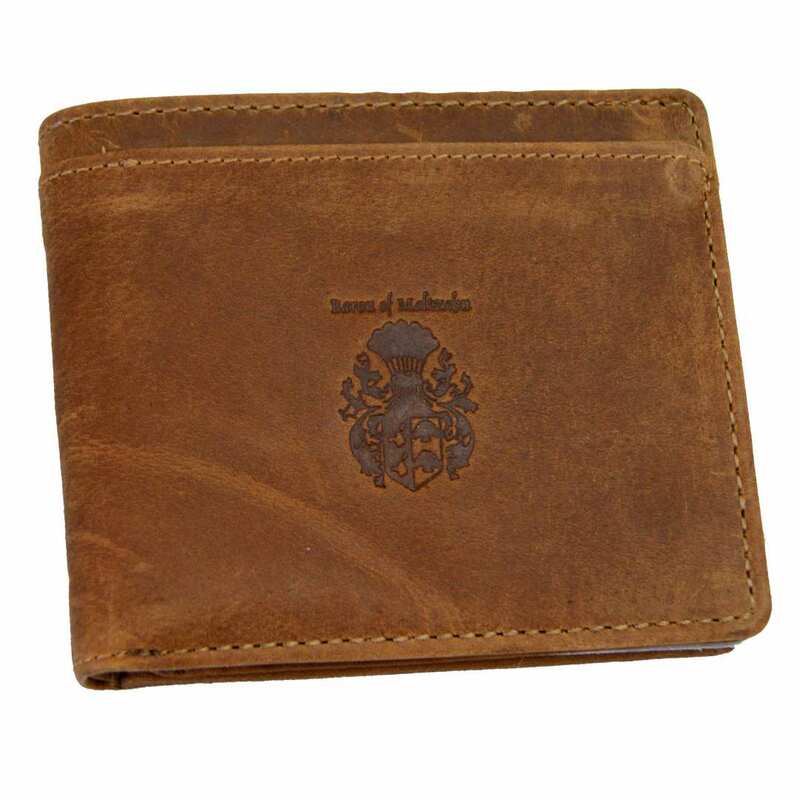 The total size of the leather wallet for men is 4.7 x 0.8 x 3.9 in (12x2x10 cm). 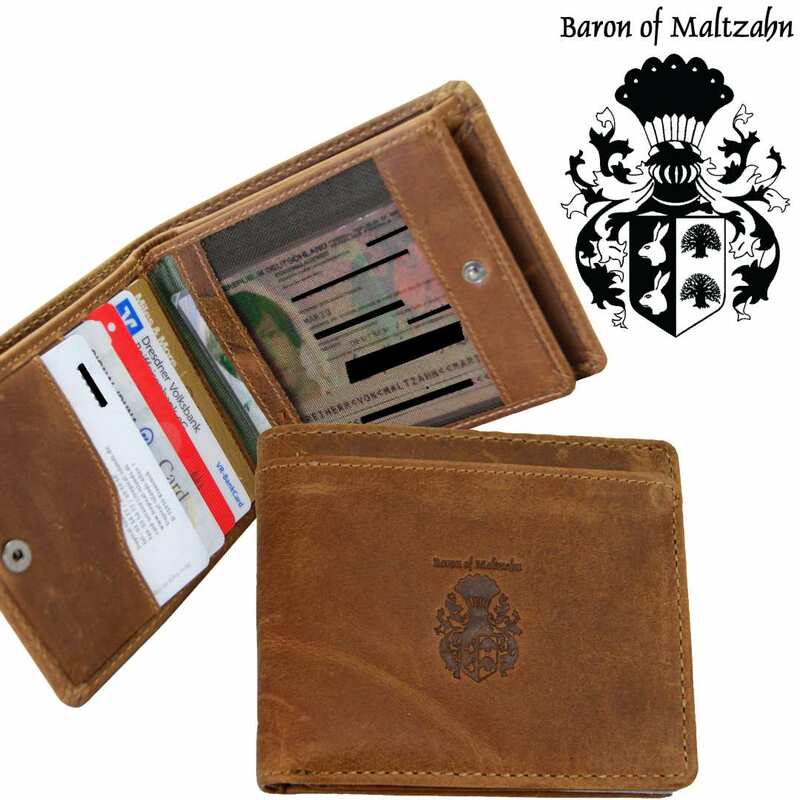 The leather of the men’s money purse is very easy to clean and does not require a time-consuming caring. This leather article is ideal for those men who want to keep the smoothness and the exclusive appearance of their wallet with little effort. From time to time, you can rub your money purse with a bit of milking grease or vaseline in order to maintain its natural shine. In case your wallet gets stained, just clean it with warm water and a sponge. Order now and boast about your new and fancy accessory! Reviews for "Men's wallet GETTY of brown leather"